Technamation Technical Europe explores new paths and is always on the look-out for strong partners. The constant and further development of our portfolio is our main goal. 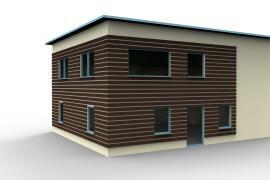 Our newest project is a ccoperation with a producer of prefabrical houses, in order to produce energy efficient houses for Europe and overseas. The houses are made of cellulose and Polyethylene compound. In order to enhance product application Technamation has embarked on a co-operation agreement with the Technical University in Cottbus, Germany. We are also a partner to a major German chemical company in order to explore common ground for product development with biodegradable content. Further suggestions for co-operation in research are welcome.